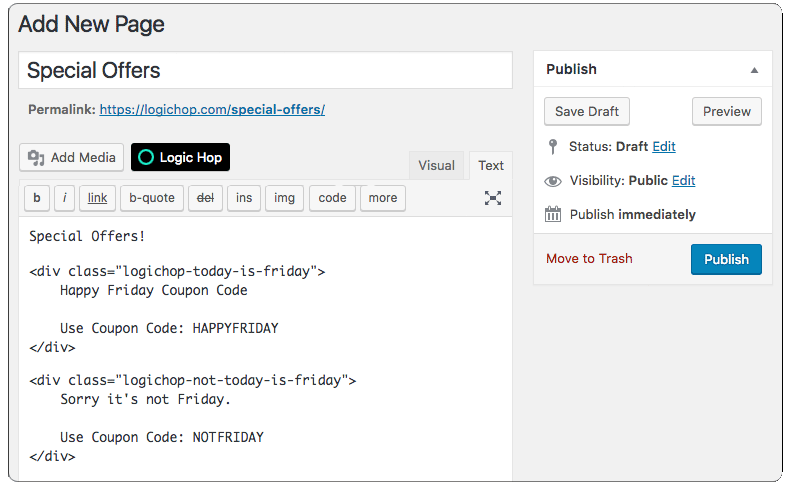 Logic Hop provides a number of ways to implement conditional logic for content personalization. Conditional CSS is a powerful tool in which CSS is dynamically generated based on an individual user’s actions. 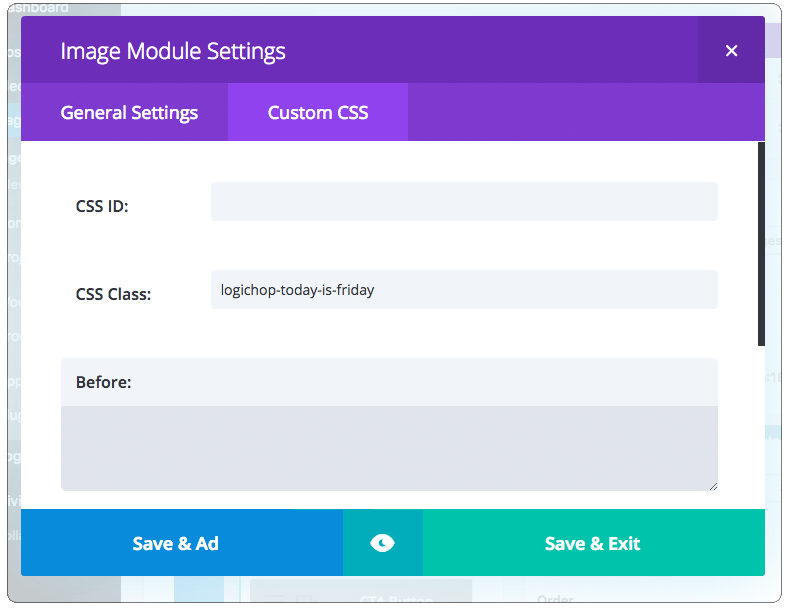 Logic Hop Conditional CSS is generated prior page load and is derived from the condition name using the WordPress slug. Note: Conditional CSS can be used with cache plugins. Conditional CSS rules are generated when the page is loaded and are not cached. Congratulations! Your condition will now be evaluated on page load. Note: All Conditional CSS enabled conditions are evaluated prior to each page load. While Logic Hop is extremely fast, it is recommended to only enable Conditional CSS for conditions which rely on this functionality. Multiple styles can be combined for complex display options. CSS Body Classes are appended to the existing classes and do not prevent other classes from appearing within the body tag. Using the CSS class copied from your condition, add it to the class attribute for any HTML element. Logic Hop’s Conditional Not logic allows you to display content when a condition is not met. Conditional Not CSS works exactly the same as Conditional CSS, but with not added to the CSS class. Note: Conditional Not CSS is automatically enabled when you enable Conditional CSS. These CSS classes can be used with your custom CSS to hide and display content for users based on the number of times they have viewed a specific page. This is perfect for landing pages and messaging first-time or returning visitors. Conditional CSS is enabled by default. When Conditional CSS is loaded, the WordPress core is called and the CSS is generated. If Conditional CSS is not used, this functionality can be disabled to prevent the additional WordPress core load and provide a minor speed increase. To disable Conditional CSS, check the Disable Conditional CSS option on the Logic Hop Settings page.